When is a selfie not a selfie? When it's a felfie of course! For the uninitiated amongst you a 'felfie' is a farming selfie. Around the world the latest social media craze has seen farmers, animal lovers and country folk posting selfies of themselves hard at work on the farm or taking a break with their beloved animals. 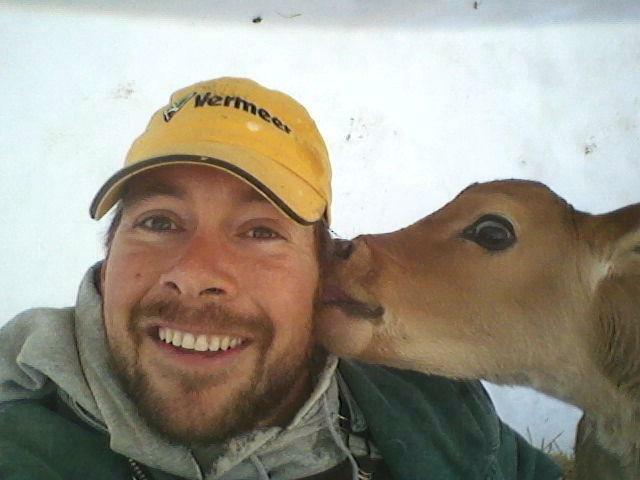 A dairy farmer in Kansas snaps a quick 'felfie' with his very photogenic friend! A cute and compliant companion make for a great felfie! Why not tweet us your 'Felfie' to @BitC_Country using the hashtag #felfie and we will re-tweet and add your pics to our blog!